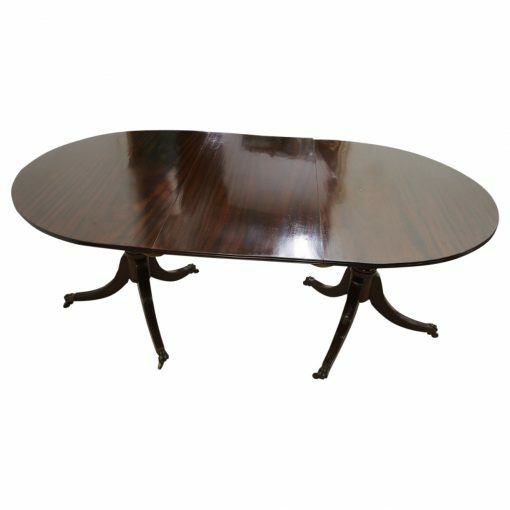 Circa 1920, Regency style twin pillar dining table and 1 leaf. With D-ends and reeded fore-edges, beneath the top is a large block with the stem turning, tapering and finishing on 3 sabre legs. These have reeded tops and end on a brass ball and claw foot, with brass castors. The additional leaf is held in place by 4 brass clips and a pair of runners. The size of the leaf is 51 cm long.